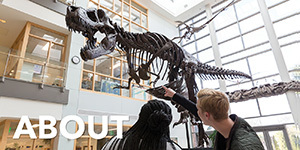 Once the tuition deposit is paid and processed, students can register for orientation. 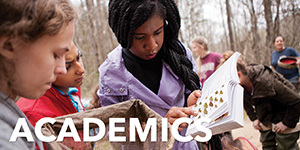 The deadline to register for the July 19, 2019 orientation is May 1, 2019. Students register for orientation by completing the orientation registration form found on the Channel Bridge channel in MyCharleston. To register log into your MyCharleston account - select the Academic Services tab at the top, scroll down to the Charleston Bridge channel and click on 'Charleston Bridge Orientation Registration Form'. There is no fee to attend orientation and no placement testing is required of students participating in Charleston Bridge. Parents or guardians are welcome at orientation but are not required to attend. Detailed information about orientation will be emailed to the student's CofC email account. Students should plan to participate in orientation activities from 8:30 a.m.-5:00 p.m. Orientation will begin at Trident Technical College (TTC) in the morning and conclude at the College of Charleston in the afternoon. Morning orientation check-in begins at 8:30 a.m. until 9:00 a.m. in the College Center (bldg. #920) at Trident Technical College (Thornley campus) located at 7000 Rivers Avenue, North Charleston. The TTC morning program will start at 9:15 a.m. until 11:15 a.m. 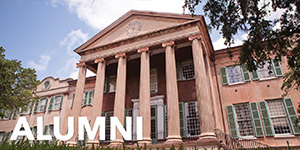 Afternoon activities, including lunch at Liberty Street Fresh Food Company, will be held at the College of Charleston. If you intend to eat the lunch at the College of Charleston, you will receive lunch vouchers when you check-in for the morning orientation at Trident Technical College. Lunch vouchers can be used from 11:30 a.m. until 1:00 p.m. at the Liberty Street Fresh Food Company on July 19th only. This building is #104 on the campus map and located at 30 St. Phillip Street. Check-in for the afternoon orientation at the College of Charleston between 1:00 -1:20 p.m. in Cougar Mall (165 Calhoun Street). 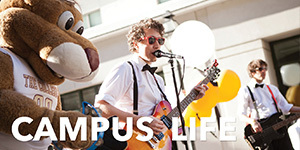 Cougar Mall is the outdoor common area located between Maybank Hall and the Robert Scott Small building. You will be directed where to go when you check-in. The College of Charleston program will begin at 1:30 p.m. Students and parents will be separated during the afternoon session so plan to meet in a designated spot once the program ends. Transportation to TTC and from TTC to the College of Charleston campus is not provided. Parking is not provided but public parking is available in downtown Charleston. The cost of parking in these garages runs between $10.00 and $16.00 per day, but you may also pay by the hour. Please do not park in College of Charleston faculty/staff parking spaces; you could be ticketed or towed. For additional parking options, check out the Downtown Charleston Parking Guide. If you have technical difficulties with MyCharleston or your College of Charleston email, contact the Information Technology Helpdesk at 843.953.3375, or email helpdesk@cofc.edu. You may also chat with a technician. Questions about the Charleston Bridge orientation on July 19, 2019 can be emailed to orientat@cofc.edu or call the College of Charleston Office of New Student Programs at 843-953-2017. If emailing or calling, please indicate that you are a Charleston Bridge student. An advisor from Trident Technical College will contact students by phone to discuss the fall course schedule. Charleston Bridge students should submit a photo for an official College of Charleston ID card, known as the Cougar Card. Follow the photo submission guidelines and submit your photo by the submission deadline. Your Cougar Card will be given to you when you arrive on the College of Charleston campus for orientation. Please remember to bring valid government issued identification to pick up your Cougar Card. Acceptable forms of identification include a Driver’s License or Non-driver ID Card issued by DMV, U.S. Green Card, Passport book or card, or a U.S. Military ID Card. 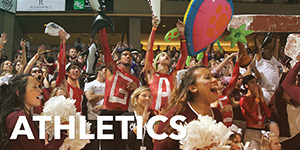 If you have questions about the Cougar Card or photo submission contact Cougar Card Services. The office is open Monday through Friday from 9:00-4:30pm. Complete the health and immunization forms found at http://studenthealth.cofc.edu/health-immunization-forms/index.php and provide these to College of Charleston's Student Health Services before classes begin in August. Questions should be directed to Student Health Services at 843-953-5520. Student Health Services is open Monday through Friday from 8:30-5:00pm. Students failing to submit these forms will not be eligible to register for College of Charleston classes until these forms are received. Students needing accommodations for the fall semester must provide documentation to Trident Technical College's Services for Students with Disabilities (SSD). These arrangements should be completed before classes begin in August. 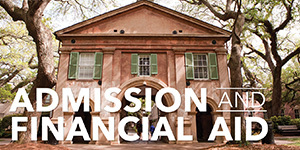 If admitted for the spring semester, students will work with disability services at the College of Charleston. Trident Technical College Thornley Campus map: https://www.tridenttech.edu/about/locations/maincampus.htm. Morning orientation check-in will be at the Trident Technical College main campus located at 7000 Rivers Avenue, North Charleston. College of Charleston Campus map: http://cofc.edu/visit/campusmaps.php.